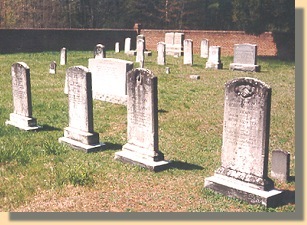 the location of the Chancellor Cemetery (E). This 2002 photograph was taken in front of the N.P.S. 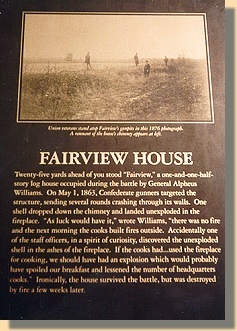 Fairview House sign. on the "N. P. S. Fairview House Sign", above. Union veterans are standing at the Fairview rifle pits (C1). 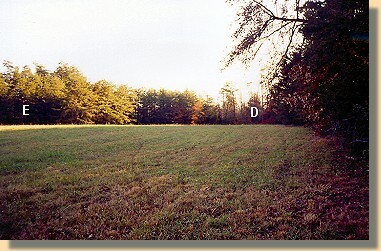 The chimney, on the distant left, is all that remains of the Fairview House (D). 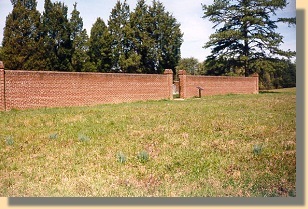 It was destroyed by fire several weeks after the battle. 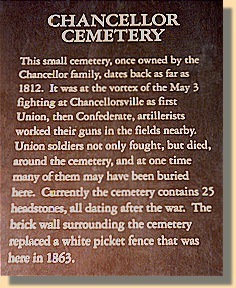 The Chancellor cemetery (E) is located to the left of the chimney, out of camera range.